Monday 8th December, 7pm at Hyde Park Picture House, LS6 1JD. 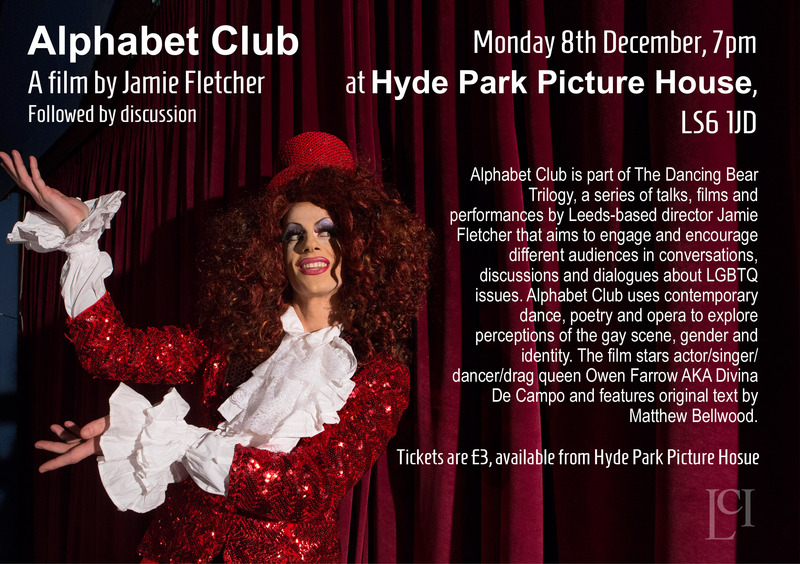 Alphabet Club is part of the Dancing Bear Trilogy, a series of talks, films and performance by Leeds-based director Jamie Fletcher that aims to engage and encourage different audiences in conversations, discussions and dialogues about LGBTQ issues. The film stars actor/singer/dancer/drag queen Owen Farrow AKA Divina De Campo and features original text by Martin Bellwood.